The latest firmware update Tizen 3.0.0.1 is now released on Samsung Gear S3. 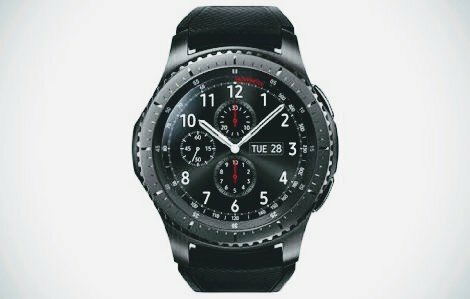 It is available on both Gear S3 Frontier and Gear S3 Classic models. It is latest advanced version of Tizen, brings lots of features and additional security functions. It is already released on Gear Sport wearable and finally comes to Gear S3 smartwatches. Samsung has launched Tizen 3.0 version back in May and Samsung Z4 was the first device to run on it. Samsung has added many new features into the new software update to make it strong rival to Android & Apple watches. It is strongly focused on device’s safety and performance improvements. The firmware version is R760XXU2CQK3 and right now available on both watches. Below are the all features that comes into new Tizen 3.0 version. There are total 15 new features added into the update. The Samsung Gear S3 users can get new update from Samsung Gear app. This version is 258MB in size. Now update your Gear S3 to the latest Tizen 3.0 version and share your first experience with us. Thanks Henk Van for the tips. Lots of issues between this and the associated Samsung Health app update. Have tried contacting Samsung support, but nothing yet. No update yet for S3 R765A. When?